It’s a familiar trope, you’re at your job typing, sweating, and working away trying to get a group project completed for your boss. You’ve been staying up late, drinking way too much coffee, and buzzing around the office to complete the final touches. Then as you walk to your bosses office to present the project, your devilishly handsome and popular co-worker and group member swoops in to grab the presentation, enters the office, and takes all credit for the hours and hours of work you completed. It stings, and likewise, this is how the native North American pollinators felt as the honeybee made its way to North America’s shore back in 1622. Originally referred to as “The White Man’s Fly” by American Indians, the honeybee was brought here for the sole purpose of producing honey and pollinating crops the colonists imported upon their arrival. Over the course of approximately 200 years, the honeybee made its way to the west coast, continuing the major production of honey, and making honey bees the most popular bees in America. Pollination Week is no exception when downplaying the work of native pollinators and replacing their efforts with praise for the honey bee. At the Pollination Week Celebration on June 24, participants learned how honey bees produce honey, how folks in the community raise happy, healthy honey bees, as well as taste an assortment of different honeys so as to indulge in the work of the proud honey bee. Honey bees across the board played center stage at the event, but one booth stood out among the fields of black and yellow obsession. 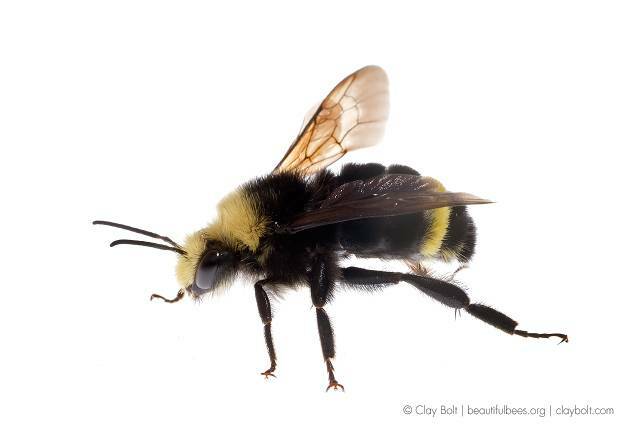 The Virginia Department of Agriculture and Consumer Services (VDACS) wishes to broaden the public’s knowledge on native pollinators in North America. While VDACS representative Keith Tignor described the honey bees’ impact on pollination as second to none, he confessed we must pay attention to other native bee population, as populations of native North American pollinators are dropping at an alarming rate. According to conservation biologist Jonas Geldmann, the honey bee can be attributed to this rapid decline as its pollination habits allow for the spread of lethal diseases in insects. Its introduction into North American animal life introduced the decline, and subsequent threat to all plant life, of native pollinators. Rather than protect these native pollinators, the nature of our agricultural economy placed higher emphasis and concern on the honey bee, who have only been pollinating in North America for a few hundred years, versus our native pollinators’ several thousand. While it is clear there are other species at risk, Tignor maintained the value of the honey bee and its role in agriculture. Honey bees are serving as the “canary in the mine” for researchers, and proving to be an effective alarm when it comes to discovering causes for the collapse of other populations. In other words, honeybees will continue to be a strong focus in the realm of bee research, pushing the efforts and lives of other pollinators to the side; yet there are native bees who are “more efficient pollinators of native crops,” according U.S. Forest Service, being put on the endangered species list. 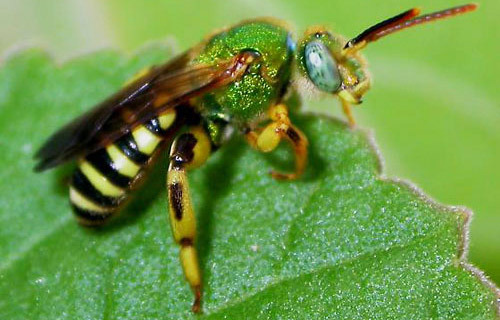 Shouldn’t native pollinators be the ones garnering the most attention? And so the bee debate begins. The question these days in not whether or not to save the bees, but rather which bees should we be saving and why. Some would argue the attention needs to stray away from the honey bee and on to native pollinators, while others continue to believe and emphasize the importance of the honey bee and its contributions to agriculture and the honey industry. 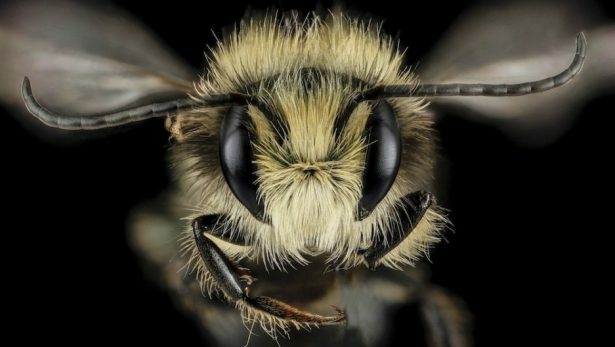 If attention is not refocused on the work and efforts of native pollinators, we are at risk of losing native bees at an astronomical rate and face major environmental consequences, such as a decrease in crops and plant life. The work being done during Pollination Week is important, as it educates the public about bees, their importance to our life cycle, and why we should care. Pollination is an important part of sustaining plant life, and all pollinators play an important role; however, when it comes to the bee, try to reflect on the relationship between honey bees and our land, then recall that feeling of being in the office. Would you want someone to notice the work you were doing, or would you prefer they pay more attention to that co-worker, or honey bee, stealing your thunder?